For all of you out there who think you hate eggplant, I dare you to give this dish a try. Even you so-called-eggplant-haters will fall in love with this delicious and comforting eggplant parmigiana. 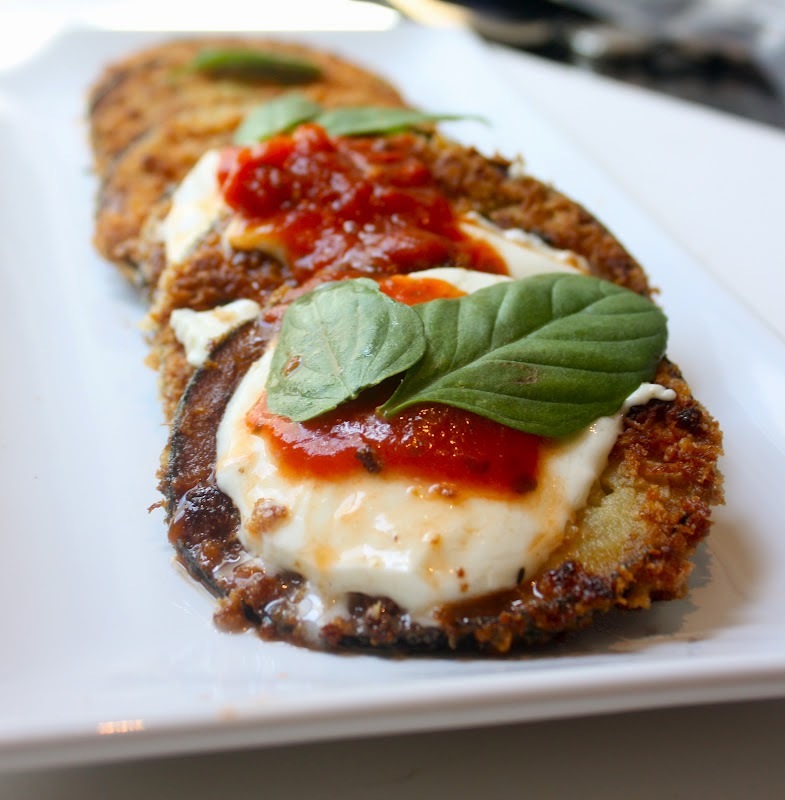 Crisp, thin slices of eggplant fried to golden brown perfection. Topped with hot, gooey mozzarella cheese and warm tomato sauce. If that’s not enough to convert you eggplant-haters, this recipe is so versatile. 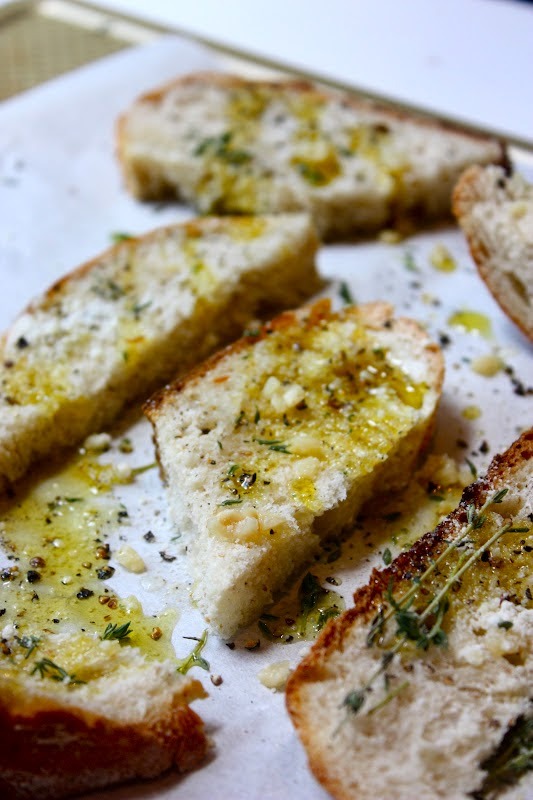 It can be served over pasta, between bread, with a side salad, or as I served it here, with fresh garlic toast! The eggplant has such a hearty, meaty texture that even you meat-lovers out there will fall in love with this veggie dish. Are you team eggplant yet? Mix the panko, thyme, rosemary, and Parmesan in a medium bowl. Bread the eggplant rounds in batches by coating them in the flour, then the eggs and then the breadcrumb mixture. Heat a large skillet over medium heat and add enough oil to liberally coat the bottom of the pan. Pan-fry the breaded eggplant rounds in batches for 2 to 3 minutes, until both sides are golden brown. Immediately transfer them to a paper towel-lined plate. 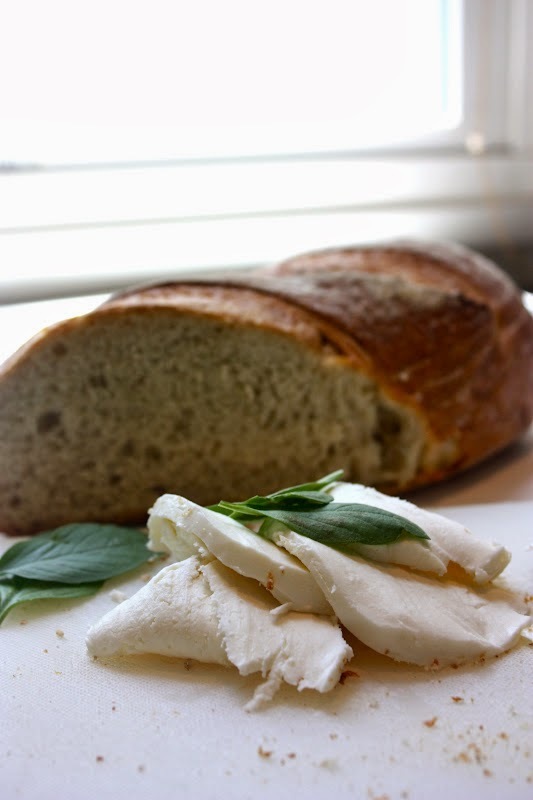 Place the rounds on a baking sheet lined with parchment and top each one with a piece of sliced mozzarella. Top with sauce. Turn your broiler to high and carefully slide the cookie sheet under the broiler just long enough until the cheese melts. Garnish with fresh basil.